It’s only Monday and I’m already looking forward to this weekend. I’m mostly excited because it is Oscar’s weekend! Even if you aren’t planning a huge gathering it is fun to enjoy the awards in a festive manner. 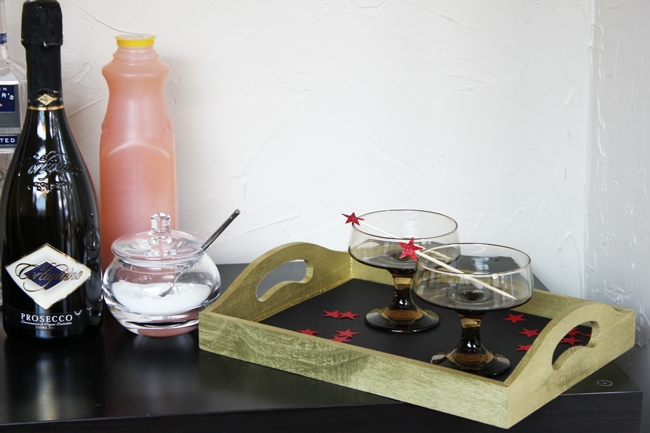 I’ve set up a little beverage station featuring an old fashioned cocktail. 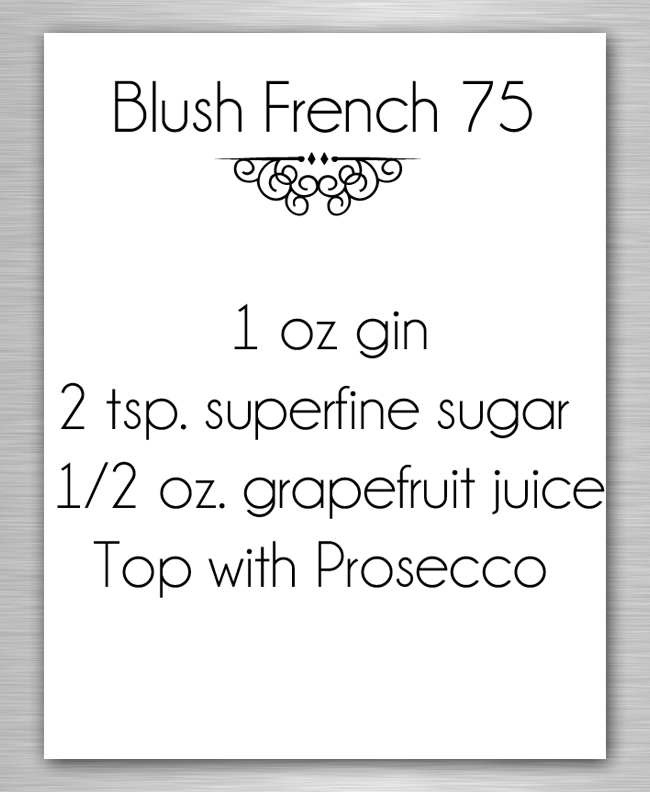 This French 75 cocktail normally includes lemon juice, but I thought I’d put a little spin on it using pink grapefruit juice, thus making it a Blush French 75! 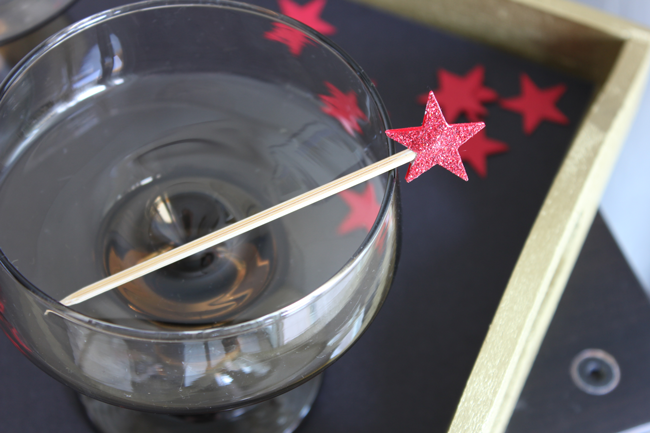 Set up your bar to include glitzy swizzle sticks. I’ve got a tutorial for these! 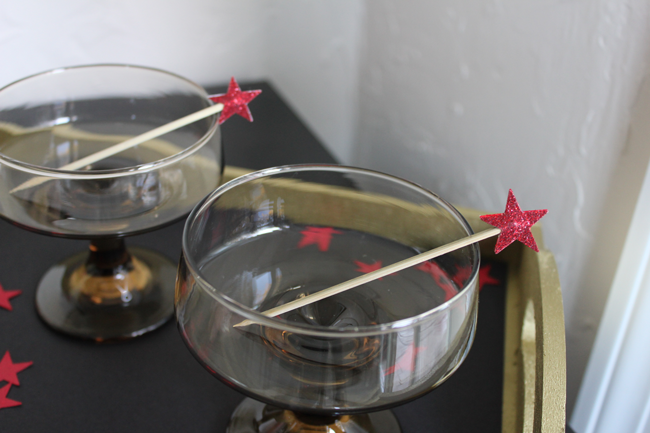 If you aren’t a fan of the shape these are in, check out our other tutorials! Everything is better with confetti right? Use this opportunity to use unique shaped confetti. 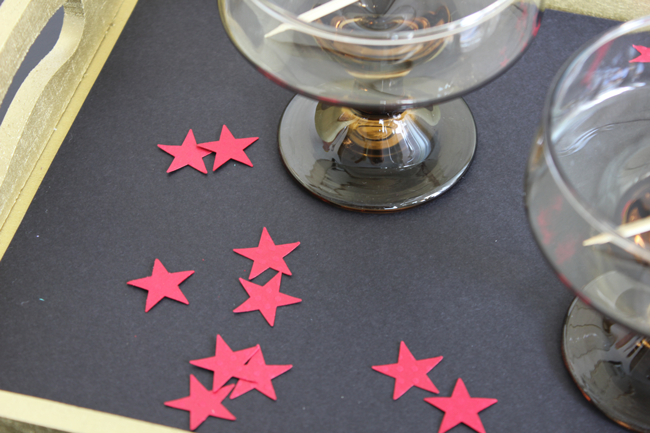 If you can’t find the shape you are looking for, use a craft punch to achieve the desired shape. 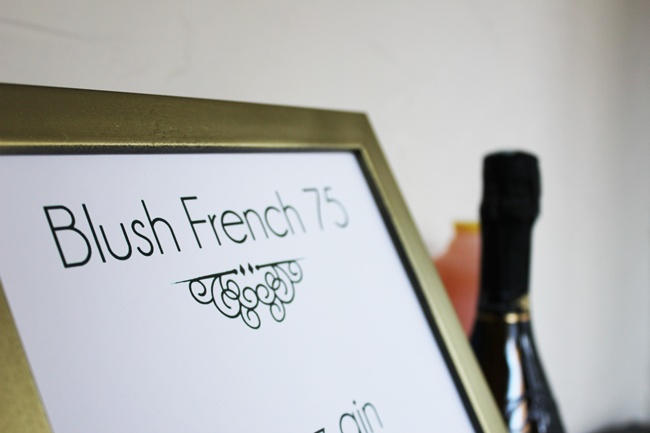 The post Oscar Party – Old Fashioned Cocktail appeared first on The Flair Exchange®.